Working in an office is probably not every one’s dream but somehow we find ourselves winding in one of these in our lives and there we find meaningful relationships and purposeful activities to do to help others and make an impact in the now fast-paced world. Comfort in the workspace is crucial to the satisfaction that you will get from working there and the level of service you will provide to your clients. 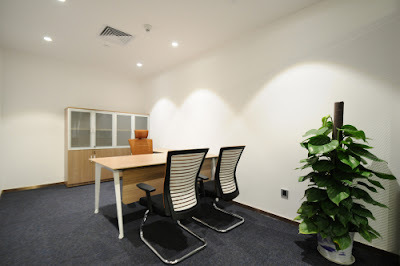 An office with a comfortable set up and a warm welcoming environment espouses improved work force performance as well as efficiency. Increased positive impact to morale to the team of individuals working in that place is a plus when the working environment is good. We will provide you a list of common characteristics of a good workspace to help your employees get better at what they do by feeling comfortable with the way your office is set up to address their needs and to give an ambient surrounding conducive to working. The first is adequate lighting. We have visited an office or two where we find the vibe that it gives to you is low-energy, sluggish service and gloomy feeling. Unfortunately if the office is set up in such a way where the premises itself communicates dullness and absence of color it is not surprising that this will translate to the attitude of the people working in it. This can be easily fixed by improving the lighting in all areas in order to give the place a facelift that when people enter into this now vibrant space they will want to work as oppose to zone-out and slack off. If you receive guests they will see the real color values there is in the office and this will instil a positive note in their minds. The comparison is similar to that of visiting a regular cosmetic shop versus visiting one of the more popular cosmetic brand booths where other, more often than not, looks depressing while the high-end shops looks fantastic and it gives a very good impression to customers. Lighting works the same way on employees. Reduced or No Clutter. This is another important characteristic of an exemplary office. When there are sufficient storage and waste disposal facilities in the office the employees will not clutter their workstations with trash or other unnecessary materials. This includes locker facilities as well as adequate trash bins strategically placed in areas of high traffic so employees have easy access to them. Essentially the workplace need to be highly organized so as documents or other materials are not stacked or set aside in unlikely places. This gives an impression of structure to the company. Another subject relating to reduced or no clutter, it is also important to take note that unkempt wiring on workstations to LAN cables running alongside the walls haphazardly, more than the actual visual horror that it gives to employees and clients alike, is not a good indication that the company has got things figured out. Making sure that your electrical wiring is properly laid out, consider committing to an effective wiring lay out and purposefully hide those wires from plain sight because they look topsy-turvy no matter how they are arranged. In modernized offices, you will not see a single stray wire running. Temperature. The right temperature gets the work going. When it becomes too hot, people get really uncomfortable and irritable as well. This is not good for business. The comfort of your employees in relation to temperature is called Thermal Comfort. It has been shown in many studies that with the usual amount of clothing that people wear and they don’t feel it’s too cold or too hot, that is the optimal thermal comfort level. This has been shown to directly affect the employee’s well-being as well as their productivity. Desks and chairs that are compatible to each other are essential contributing factors to an employee’s comfort. 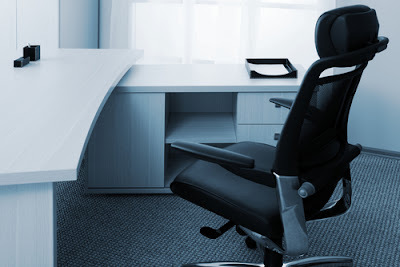 An ergonomically designed chair is a very good form of investment for businesses. Chairs that provide good back support will help avoid back pains and back strains. It is also ideal for office chairs, intended for employees, to have armrests. This will just amplify the comfort level that they will experience especially if the work that they do are not necessarily stress-free. Also, the adjustable height of the chair in proportion to the height of the table can enhance posture and translate to attentiveness by your employees. their own personal effects. Let them be. Flooring. Like in lighting, an appropriate type of flooring can have a massive effect on the way your office looks and feels. Workspaces need a set up that gives the “we mean business” kind of feeling to all those who will tread in them. There are different kinds of flooring that you may choose from. 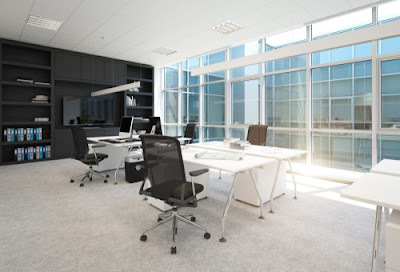 Essentially, you should consider the amount of traffic the space will have, the kind of regular maintenance that you are willing to do, the difficulty of fixing or replacing it, the expected period of time that it will be used and the long-term to short-term benefits relating to cost before you make a choice as to what type of flooring is appropriate to your office space. The amount of traffic will determine how resistant to wear-and-tear the flooring should be. Your choices will ranges from carpet flooring-wood-marble-ultimately granite. Rarely will office spaces use wood, marble or granite. The carpet flooring can come in forms of laminated or vinyl. These choices do not require frequent maintenance, cost-wise they are perfect and if you have to replace them it will not cost as much as compared to the other options. Looking at short-term and long-term benefits, it is important to note that at times the cheaper prices mean shorter life span. If you are looking into not replacing the carpet flooring for a longer period of time, it is essential to invest in the more expensive alternative as they are built for durability. In closing, your workspace should be easy to work in for your employees. They stay there more than anyone else. They deserve to have a decent workspace. It is critical that the office set up has dimensional stability, a perfect balance between the rigidity of work done versus the ambient surroundings, functional furnishing, a clean-feel and last but not least a warm welcoming look. So, why buy a rug. Well, there are lots of explanations why you should wish to choose one, and no matter how little you have to invest you should manage to pick something up from the shop or carpet dealer, and the variety is incredible although you will be limited with less expensive rugs. Therefore, let's look at a few of the reasons a rug may be wanted by you on your floor. 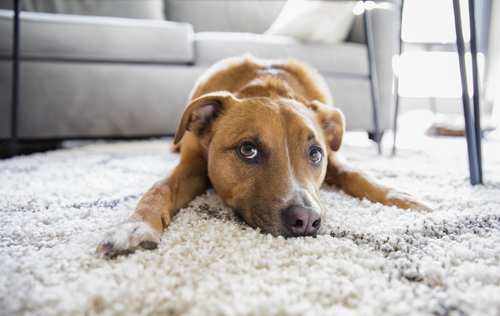 Well, my number one reason for using rugs is always to cover the wear and tear that rugs get with daily use. Think about it, when you walk across an area, you often take precisely the same route. 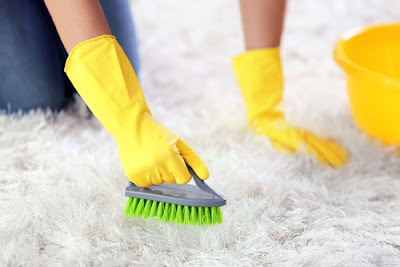 This can help to wear out a or leaves it dirtier than the surrounding carpet and cleaning most of the carpet only illustrates what components of it were dirty in the first place, effectively at least I think so. You may also have a damaged rug or the one that will probably get damaged. The favorite listed here is record fires which are always spitting out hot embers. A carpet in front of the fireplace helps protect it. Sooner or later you will have to get rid of the rug but buying a new rug is a lot cheaper and more comfortable than buying a new carpet. • Highlighting a wooden floor. One of the different reasons you might want a rug would be to highlight a wooden floor. Having a wood covered floor is fantastic, but a carpet can intensify the wood and draws a person’s eye to the floor. Therefore, people can see what your floor appears like. Another reason why you may want a rug with this kind of ground is always to reduce sound which a rug is great for. • A rug can also be a center point in a space drawing a person’s eye to the rug and creating a statement about you or your preferences. On one other hand, a rug can also create a declaration about you and your fashion sense so always be careful when choosing and as a rug can usually say far more about you than you might like. • A couple of other reasons for using a rug are its anything great in access to your dwelling or apartment. Why, well rugs help to clean dirt off shoes, and most rugs could be easily washed although cleaning a carpet is usually a lot more difficult. Mats are cheaper to restore as well. • Rugs are less costly than carpets. Cost could be still another aspect in choosing to buy carpets especially if you are renting anywhere. Why pay to cover a whole floor with a fitted carpet which will be not easy to take with you. Mats can undoubtedly be studied with you when you go. Another point is that you’ll have selected your rug to fit your furniture when you go on to someplace new your rug still matches your furniture. After understanding why, you prefer rugs over carpets. 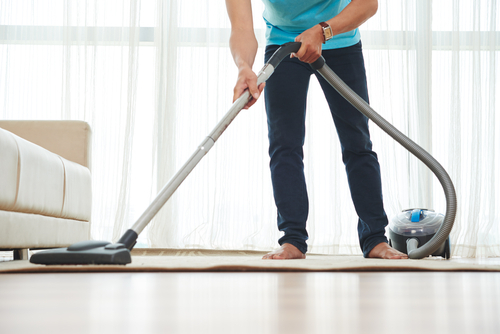 It is very crucial to know some of the tricks to apply during cleaning and maintaining them. 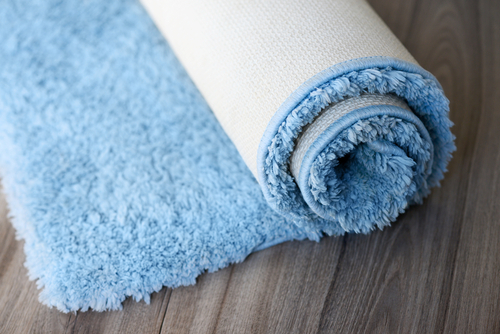 Rugs, just like your carpet, are prone to getting bothersome stains. You still walk on them after all, plus they are still on your floor. Therefore, making them prime spots for drops, spills, feet, and many other not so otherworldly incidents. The challenge is how to get any of these stains out of your area rug. The reply is, well, that depends. Just what this means is basically, the system for getting any specific spot out of your rug hinges on the kind of spot and the kind of rug. • Stains are not created equal, and neither are all rugs. Certain types of rugs, like sisal, are nearly impossible to remove stains from. And certain types of stains, like ones left by furniture stain, are nearly impossible to remove. 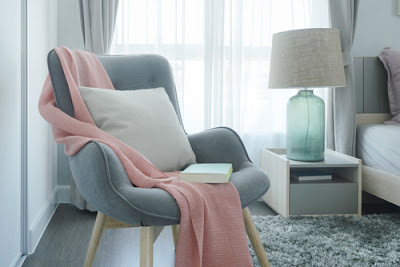 As usual, the most significant factor to understand is exactly what type of rug you own. Is it wool? Is it silk? This information will almost always end up being your most fabulous friend when dealing with area rugs. The second most valuable point is quickness. You will need to address a spot or stain as swiftly as humanly feasible. It is a relatively easy formula. The more time you procrastinate, the worse it gets. That is a universal fact. It applies to all varieties of carpets and all different types of stains. • When attempting to remove a stain from your area rug remember never to rub it. Rubbing a stain will only push it and spread it further into your rug. Imagine dropping a grape on the floor. Oops. Now instead of picking it up for easy cleanup, give it a good rubbing. Mash it up really good. Yeah, kinda makes it worse doesn’t it? So don’t rub, blot the stain. • However, before you get to the blotting, a useful device to have around is a wet/dry vac. These little units are one of your carpet and rugs’ very best friends. The one first thing you want to accomplish is to make use of this vac and extract as much of the spill as you possibly can. This will then leave you with the actual stain or spot. • There are a lot of handy supplies that you possibly presently have in your home that can be utilized for spot eliminating. Club soda, baking soda, lemon juice, hydrogen peroxide, and even shaving cream are a few of the household goods that can be used to clean up rug stains. Of course, you surely want to test a tiny area of the rug first of all. Not all rugs are created equal, remember? • Get the help of professional. 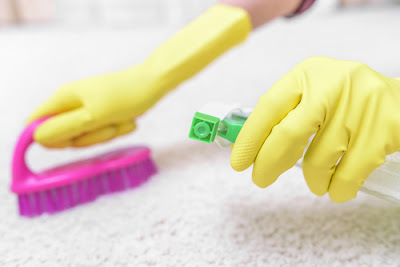 If you are up against a stain or spot that you just cannot eliminate or perhaps are merely a bit too unsure of to tackle yourself, get in touch with a professional. Certified carpet cleaners are always on standby with assistance or with the ability to take care of it. When attempting to settle on your official decision on which sort of flooring you might want to run with, it can be extremely difficult because of the a wide range of kinds of flooring, unique qualities, colors and textures to every individual kind. Regardless of whether you choose to run with hardwood because of its polish, or carpet because you might want something more comfortable and cozy. Possibly tiles or laminate is what you're searching for because of its surface and furthermore because it can be less expensive than the other specified previously. I'm certain that you will wind up settling on the correct choice as per your requirements. Consider carpet tiles or carpet in office spaces that need insulation from commotions. Carpet likewise gives a gentler surface for the individuals who spend huge parts of the day on their feet. 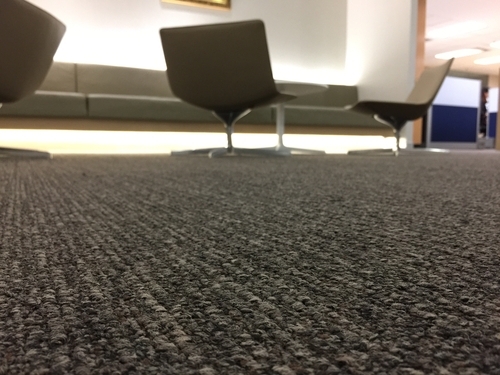 Accessible in a tremendous scope of styles, hues and developments to fit your outline and spending needs, carpet offers a great deal of adaptability. Carpet needs to be vacuumed day by day and cleaned routinely with the assistance of your favored administrations group to keep it looking incredible and without stain. 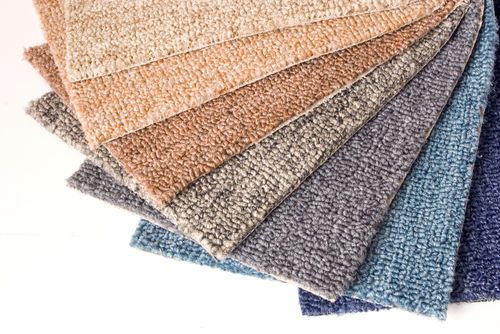 With carpet tiles, you can supplant recolored or damaged ones less demanding than with a one end to the other style. Artistic tile provides beauty and warmth, and sturdiness. For high-traffic regions search for fired tile evaluated four or five on the PEI. Like some other flooring material, clay tile can recolor yet a expert cleaner can treat spots and expels stain to reestablish the tile's unique look. Hardwood floors are durable and simple to keep up with general care. There are numerous choices for wood flooring, from environmentally friendly bamboo to rich red oak. Hardwood floor is great and includes tastefulness, style and warmth to any work space. Despite the fact that it can be damaged by dampness, scratches and recolors, present day hardwood floor completions can help shield from unnecessary damage and the wood can be refinished and sanded when required. Laminate flooring will provide the look of hardwood, tile or even stone flooring however at a lower cost. It's developed in layers and intended to oppose warping from dampness. Commonly it includes a thick surface covering to shield from scratches and other damage. It needs cleaning care and care. Maybe not perfect for each office, normal stone provide an extravagant look. A higher end material, it makes a particular appearance that adds something uncommon to the style. Regular stone may scratch and stain, however a defensive sealer can be connected to assist diminish issues. Consistent upkeep and cleaning is needed. Perfect for high-traffic territories, rubber flooring offers outline flexibility and is a simple care flooring material. Rubber flooring is heat, durable and water-safe and in addition slip safe. It is comfortable to walk and remain on every day and furthermore offers sound retention, so it's optimal for an open-idea office space. Same like rubber, vinyl can be perfect for high-traffic zones and when spending plan is a factor for picking office flooring. It can be dealt with to oppose scratches and recolors. Vinyl flooring additionally might be dealt with for slip-protection. It's accessible in a scope of styles, shading and outlines. A wrong decision made won't just get exhausted soon yet in addition make you frustrated. Additionally, enlist a professional carpet flooring based administration to fit for your rooms. Remember to purchase your carpet frame a solid and a trustworthy merchant. Discover a merchant who offers quality carpets and offers phenomenal client benefit. Guarantee that the merchant provides a decent assurance and guarantee on the item he offers. Have a glance at all the different kinds of carpets you see at a store. Also, consider the different under cushions that accompany us. Never ignore the under cushion. Because it's not noticeable, it doesn't mean it is trifling. If you wind up with a shabby and thin under cushion, it will certainly abbreviate the life. Getting the carpet introduced by a professional is basic. The merchant from whom you get the may have an establishment team or perhaps they will guide you to a professional. For fitting, They has the best to offer you. Or on the other hand scan online for the best carpet flooring administrations. The surface and shade of the carpet will influence the presence of the room; what's more, the lighting condition can affect the look of the carpet. If it is even surfaced or smooth, it will give a rich or smooth look. To give a formal look to any room, take a stab at utilizing a woven artwork weave or oriental style. If you need the room to look brighter, purchase a carpet that has more brilliant carpet fiber. Remember that a smooth and sumptuous will demonstrate vacuum imprints and footprints. Watch out for the traffic produced in the room before purchasing a carpet. In a high traffic zone, the low circle or the fundamental heap performs well. You can see this sort of for the most part in workplaces. It keeps going longer and is less demanding to perfect also. Price is an essential factor. Keep in mind that you get what you pay for. Obviously, a shabby and low quality carpet is of low quality and doesn't serve the reason or keep going long. Know about this and pick the carpet that is durable, that you need and you like. Because the merchant offers the best value, you ought not simply ahead and purchase. Think well on regardless of whether you need the carpet to serve you for long. Thusly, shop deliberately. 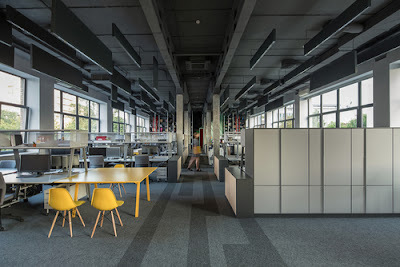 Office flooring choices are numerous, and picking the ideal one for your office relies upon the look you need to accomplish and your financial plan. Regardless of which you pick, consistent care and cleaning are basic to a flooring so as to keep up its great looks. Converse with the cleaning specialists they tend to different flooring materials before you make that speculation. We're prepared to answer any inquiries today. These tips will unquestionably help you in picking the correct carpet for your office or home in a brief timeframe. The new will add a stylish sense to your room and simply look marvelous.